Children’s Hospital of Philadelphia has authored a new book, Do You Believe in Magic? The Sense and Nonsense of Alternative Medicine (Harper, 2013 ). Now on the stump, he encourages thinking more critically about healthcare treatments. Too bad his is a one-sided view. And that his intended audience is unlikely to be convinced because health information has been increasingly available over the last 25 years. Nor do many physicians and prominent medical organizations subscribe to his views (although a few legislators do). at the University of Arizona countered with a 2008 review of 29 trials—including 17 that compared SWJ to standard antidepressants, and found it just as effective for moderate depression, with fewer side-effects. Upon hearing this key finding, Offit never paused for breath before he redirected to attack some other hapless herb. There is an extensive scientific literature on St. John’s wort (and other nutrients available in supplements) but Offit cherrypicks the few studies that validate his concerns that supplements are dangerous. Say your body needs lycopene and the lycopene content typically found in tomatoes has been depleted by conventional agriculture practices. If you get lycopene from eating a tomato, or even five tomatoes, you’re not trespassing onto the sacred ground of medicine. But if you take a lycopene capsule, you have stepped over a line, Offit and company claim. If conventional medicine were producing such terrific results, perhaps more people would be eager to see what pharmaceutical research would do with that lycopene, beyond spending millions on a special extraction of the active ingredient to make it available only by prescription at skyhigh prices. The 1994 battle for the Dietary Supplement Health and Education Act (DSHEA) was fought to protect the public right to access low harm supplements. It is one of the most successful citizen-driven movements of the late 20th century, which activated nearly two million people to contact their legislators. The popular will has thus far opposed and defeated Big Pharma in its ongoing campaign to regulate supplements as drugs. With an obesity epidemic and millions of people eating sweets, soda and fast foods, there’s little reason to pretend that all Americans consume a healthy diet. Moreover, USDA data reveals that the nutrient quality in even healthy foods has declined due to depleted soils. A comparison of nutrient values in food grown in the years 1950 and 1999 reveals declines of key nutrients and protein in 43 foods. This is due in part to conventional agricultural practices. “In hundreds of studies, scientists have shown that incrementally higher levels of fertilizer negatively impact the density of certain nutrients in harvested foodstuffs, hence the name, the ’dilution [of nutrients] effect,’” said Preston Andrews of Washington State University in a 2009 presentation on the impact of conventional agricultural practices on food quality. Gaby further points out that many common foods contribute to nutritional depletion. (So do drugs.) According to several studies, caffeine consumption can contribute to calcium loss. which can be mitigated by calcium supplementation other research found. High sugar consumption prompts urinary excretion of chromium, one study found, while a USDA study found that chromium intake helped to improve glucose tolerance in people with diabetes. 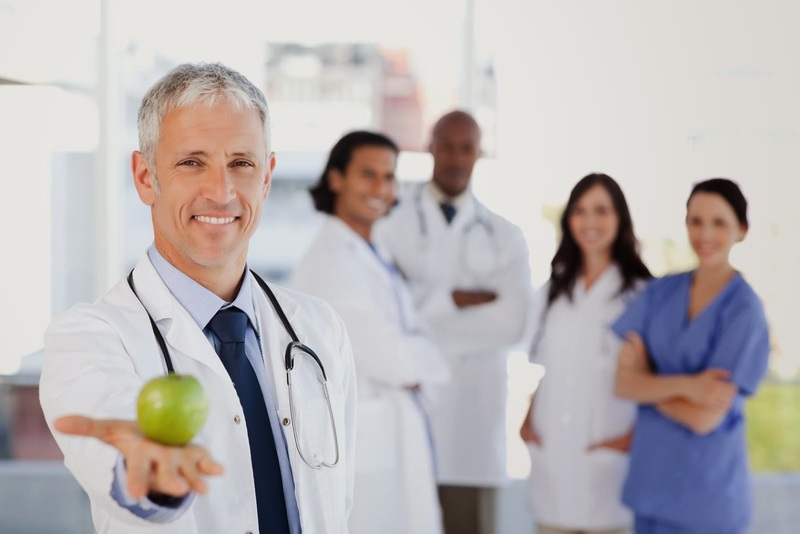 These are just a few examples of the extensive literature that reveals both the reasons many may have nutritional deficiencies, and the benefits of using micronutrients from foods to correct them. In 2008, the CDC and the National Center for Complementary and Alternative Medicine (NCCAM) found that that natural nutritional products are the most commonly used “integrative” health approach. A 2007 Council for Responsible Nutrition (CRN) survey found that 68 percent of adults (over 150 million Americans) report taking nutritional or dietary supplements. What causes Offit’s disquiet? He quotes Yale neurologist Steven Novella on herbal remedies: “Herbs are drugs and can be studied be studied as drugs.” He would like to see supplements studied and regulated as drugs. The FDA does regulate supplements as food products, and they are currently the most highly regulated food products. The FDA cannot regulate either BPA or mercury because they are “grandfathered” into use. The FDA chooses not to regulate personal care products or cosmetics. The FDA does not bother to study the safety of GMOs, or the chemicals used in fracking, but according to Offit’s book, certain FDA officials are miffed that they can’t regulate vitamin C, a component of food found in many fruits and vegetables, as a drug. Before conferring the special status of drug-hood on an herb (or other food ingredient), it’s fair to ask whether drugs and nutrients are equivalently dangerous and therefore require the same extensive and costly drug trials to assure their safety for use. Take too much vitamin C and you might get a loose bowel movement. 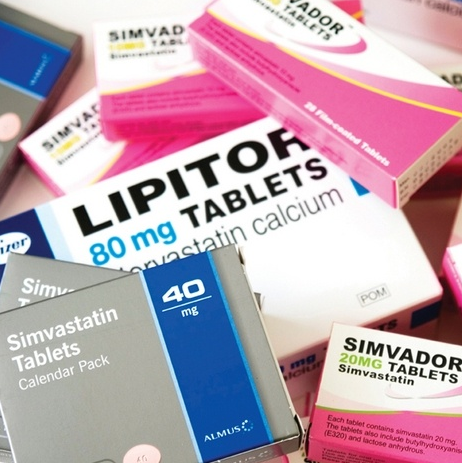 Take too much of a statin drug and you might get liver damage or kidney failure. That’s just one example of the difference in risk between high-harm and low-harm ingredients. Drugs are heavily studied and regulated because they are high harm— highly toxic single novel chemicals devised in a lab for a high-potency targeted use with mechanisms of action and side effects new to the human organism. Basic nutrients from foods and plants are low-harm because they are natural complexes of ingredients with long histories of biological compatibility with humans. Nevertheless, in an apparent quest to reassert the conventional monopoly on health authority, Offit wants every nutrient to be vetted like a drug by an RCT—the randomized controlled double-blind trial considered the gold standard of evidence-based medicine. In his view, just like drugs, vitamins, minerals and herbs are dangerous until proven innocent. 1. Impossible. Conducting an RCT of every edible component in nature will never happen because going through the FDA study and review process typically costs $100 million per component. No one with the money to spend has the incentive to study natural substances that cannot by law be patented. 2. Unnecessary. RCTs came into use to assess the benefits/risk ratio of novel highly toxic chemicals, namely drugs. An existing and growing body of literature studies nutritional supplements for their utility and efficacy in less costly ways. 3. It’s colonial. Unless every edible natural substance in existence, many safely consumed or used by humans for millennia, can be colonized and vetted by a recently devised process designed to test drugs, they are assumed to be harmful? That’s empire building, not empirical science. Maizes maintains that it makes sense to use a hierarchy of evidence—the more harmful the ingredient the stricter the assessment of safety for use. Offit claims that he accepts all health treatments that work and even deigns to dub those that do “medicine.” Nevertheless, he devotes an entire book chapter to deploring the inclusion of integrative medicine into medical centers nationwide. He chides the public for influencing their doctors to consider integrative approaches, and is piqued by doctors listening to patients. Some of the most prominent medical institutions don’t share his view. When the Consortium of Academic Health Centers for Integrative Medicine first formed in 2000, there were eight centers with active programs. Over a dozen years later, there are 56, nearly half of the nearly 125 medical schools in North America, which belong to the Consortium and have integrative programs. Harvard, UCLA, Duke, Michigan, Albert Einstein and more, all have programs with the strong support of their medical college deans. Hardly a rejection of integrative health approaches. Moreover, many doctors use these approaches themselves. A 2007 study conducted by the Council for Responsible Nutrition (CRN) found that 72 percent of physicians and 89 percent of nurses personally use vitamin, mineral, herbal, and other supplements. Eighty-five percent of these providers recommend supplements to their clients. Among the 28 percent of physicians who don’t personally use supplements, 62 percent recommend them to their patients. With or without RCTs, both the scientific and clinical evidence— and their own health experiences— appear to be persuasive. Are the parameters for evidence-based medicine expanding, even though some holdouts (like Dr. Offit) haven’t gotten the memo? Despite the recurrent rallying call to evidence based medicine, less conventional practice is based upon it than people realize. A 2009 study published in JAMA found that only 19 percent of the most basic cardiovascular treatments (or devices) are based on RCTs. In this context, with plenty of standard medicine used in practice failing to meet this exalted RCT standard, Offit’s demand for it sounds much more like a call to brand loyalty. And if he’s truly interested in seeing more science on nutrients, he can always look into the existing literature. Why would pediatricians who have taken an oath to help, not harm, kids go on record to say that vaccines need to contain poisonous mercury? This odd defense of mercury in vaccines goes against the fact that a multitude of scientific studies have shown the detrimental effects that mercury has on the brain, and much research has been done on the correlation between mercury-laden vaccines and the autism epidemic, among other health effects. Even the Environmental Protection Agency (EPA) labels mercury a hazardous substance with a multi-step process for disposal to avoid the potentially devastating effects of mercury exposure. Despite clear evidence that mercury is bad for us, the media continues to trumpet claims that mercury is good for developing children’s brains as they have done in the past. Childhood vaccine market profits are projected to reach $16 billion by 2016, and the United States has one of the most aggressive vaccine schedules in the world. 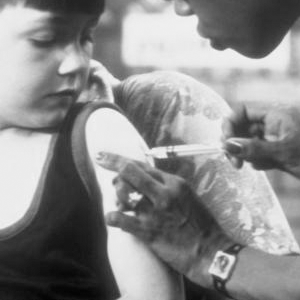 The CDC now recommends 69 shots of 16 different vaccines by age 18. When it comes to mercury’s “safety”, it seems one only needs to follow the funding. While a series of influential studies which have been used by WHO to inform vaccine policy have concluded thimerosal poses little risk to full-term infants, the head researcher in these studies has admittedly received grants from top Big Pharma companies including Eli Lilly (the company that developed thimerosal), Merck, and Pfizer among many others. The logic we are fed on why we should inject ourselves and our infants and children with mercury is that thimerosal is somehow safe because it is made from ethyl mercury, which has a shorter half-life in the blood than its supposedly much more hazardous cousin methyl mercury. Unfortunately, this makes little sense, common or otherwise. In a 1985 comparative toxicology study in which rats were treated with both types of mercury, little difference in neurotoxicity was found, yet those treated with ethyl mercury suffered more widespread damage. More recently, a 2005 study on brain concentrations of both methyl and ethyl mercury compounds found that monkeys dosed with ethyl mercury had double the levels of inorganic mercury in their brains. According to this study, “inorganic mercury remains in the brain much longer than organic mercury, with an estimated half-life of more than a year.” Many claims that thimerosal is safe are based on how long the mercury compound stays in the blood, but mercury accumulates and stays in the brain — where much greater damage is done — longer than in the blood. How can inorganic mercury accumulations in the brains of growing children for more than a year even remotely be considered safe? According to the EPA, “high exposures to inorganic mercury may result in damage to the gastrointestinal tract, the nervous system, and the kidneys.” Symptoms of inorganic mercury exposure can also include memory loss, mental disturbances, and muscle weakness among other negative health effects. If these are the effects of a high dose, why would anyone take their chances with a what has somehow been deemed a “healthy” dose or, frankly, any dose of mercury? This is not the first time the AAP has appeared to bow to corporate interests. In October 2011, the organization made the recommendation that children as young as four could be diagnosed with Attention Deficit Hyperactivity Disorder, and those children could be prescribed pharmaceuticals such as Ritalin for it. The Citizens Commission on Human Rights International reported that, not only was the chairman in charge of this “recommendation” a consultant for multiple Big Pharma companies including Eli Lilly, but AAP had received thousands in pharmaceutical company contributions from Merck, Eli Lilly, Bristol-Meyers Squibb and many others in recent years. Far too many AAP members also hold or have held positions with Big Pharma and Big Agra companies (for just a few examples, see here, here, here, here, and here). Isn’t this an apparent conflict of interest that could potentially put children in danger? Other examples include when former head of the CDC Dr. Julie Gerberding was later hired as Merck’s Vaccine Division President, and the fact that during the H1N1 scandal, WHO advisors were caught receiving kickbacks from vaccine manufacturers. The lines between government and corporations are continuously blurred in a widespread trend that seems to go beyond any individual or single organization. Profits are not only being put ahead of people, but ahead of common sense as well.